Adore Them is proud to be the Marketing Partner for the PA Family Expo! This event is planned from beginning to end with families in mind. 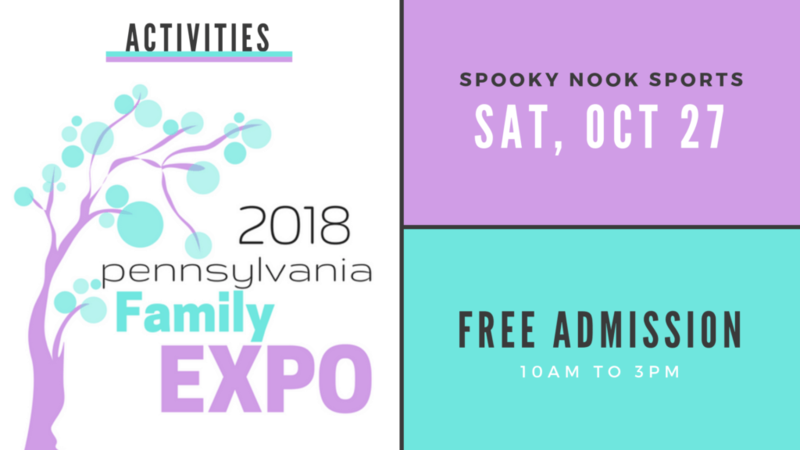 There will be hundreds of dollars worth of giveaways available at the PA Family Expo this year, and there will be fun activities & amenities available as well! Balloon Twisting & Magic Show – Majik Andrew Entertainment will be twisting up all sorts of balloon creations and showing off his magical talents to all – young & old! Family Lounge – Sponsored by Agora Cyber Charter School – Private, quiet area complete with stocked changing tables and comfy chairs, where families can take respite away from the activity. Great for children with special needs/sensory issues, & the perfect place for moms to feed or care for babies and/or small children. If you have any questions or concerns, you can contact the event organizers here! Invite the grandparents, invite your friends, share on social media & help us spread the word. The PA Family Expo is presented by Highmark Blue Shield and Penn State Health. The event is taking place on Saturday, October 27th, 2018 from 10am to 3pm at Spooky Nook Sports in Manheim, PA.
You can pre-register using EventBrite! It’s FREE and allows you to skip the lines at registration on October 27th. You can also register on your smartphone while you are waiting in line at the event if that is easier for you!